We are Pay Weekly Floors and we offer luxury pay weekly carpets, pay weekly laminates or pay weekly vinyl flooring for your home. Our pay weekly carpets are hard wearing and long lasting with a luxurious feel. We have a wide range of colours available which can suit any interior. Our sales representative will happily bring a range of colours for you to choose from. With free measuring, free underlay, free grippers and free door trims and with fitting from only £40 its no wonder we are so popular. 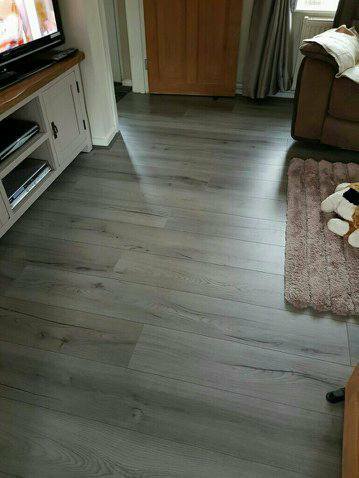 We also have pay weekly laminate flooring which really do look the part. They look incredible and the detail makes it look like just like expensive real wood. There are a variety of colour options and all you need to do is choose from the selection our sales representative will bring along when they come out to see you. Our range of pay weekly vinyl are a popular cheaper option, you’ll be surprised at the quality. They are incredibly easy to maintain and are very durable. Again our sales representative will be happy to bring along a sample range so you can choose whats right for you. We now have a large customer base who are extremely happy with their carpet and most are now carpeting other rooms. With free measuring, free underlay, free grippers and free door trims and with fitting from only £40 it’s no wonder we are so popular. Give us a call today or leave a message here. There are no hidden costs, all you will need to pay when we measure up is a £40 deposit, this is purely to prove a commitment on your behalf. We are a local carpet company based in Tameside, Manchester. We can cover all Greater Manchester areas such as Ashton-under-Lyne, Bolton, Denton, Tameside, Stockport, Droylsden, Dukinfield, Hyde, Tameside, Mossley, Oldham, Preston, Lancashire, Rochdale and Stalybridge. If you don’t live in these areas drop us a message anyway as we are increasing our reach. Enquire about your Pay Weekly Floor today! How do we do it? we buy huge amounts of the same carpet, so colours are limited but the discount is huge!